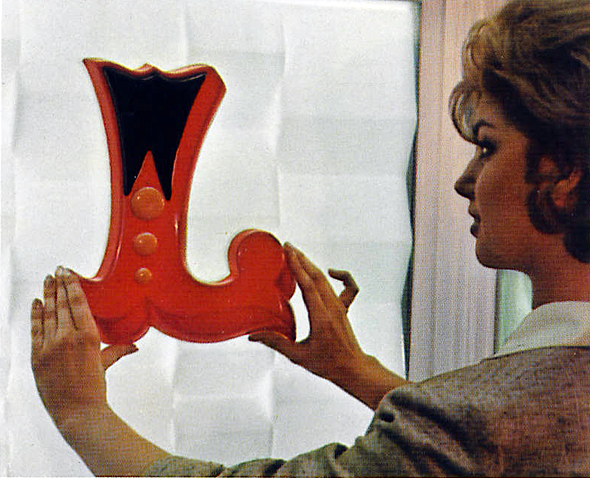 The introduction of molded plastic signage has proliferated across the American landscape since the 1960s. 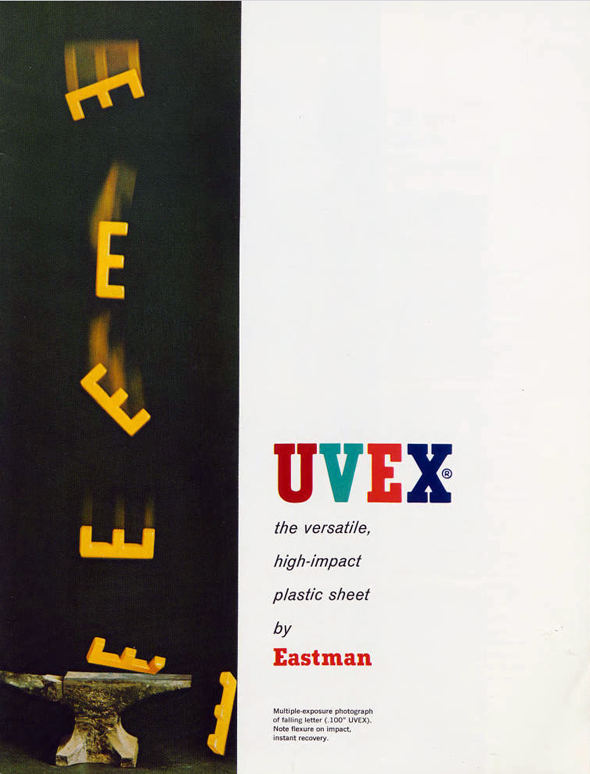 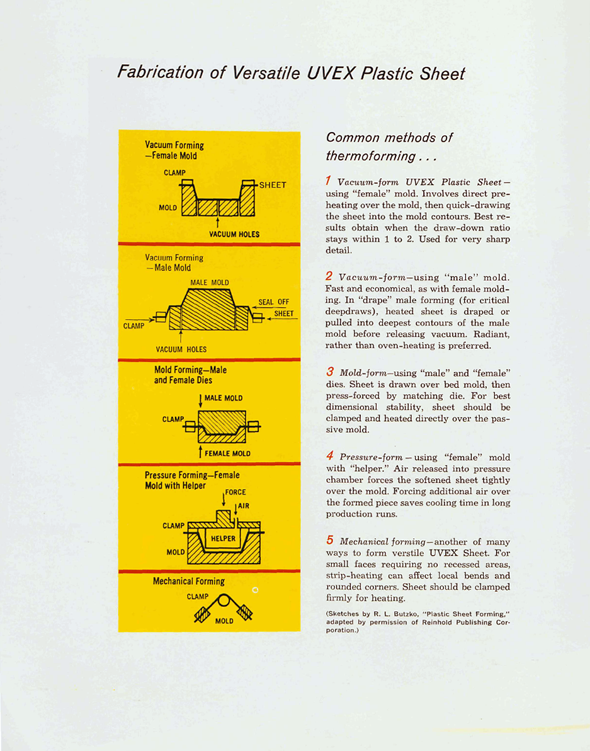 Uvex, a division of the Eastman Chemical Products, and a subsidiary of the Eastman Kodak company at that time, was responsible for a large part of this growing trend in fabricated signage. 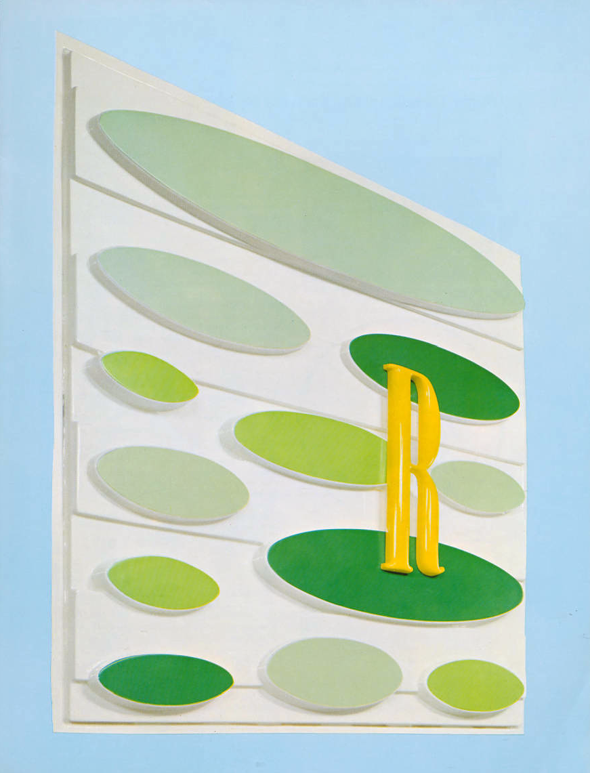 Many businesses soon traded their old handpainted and electric neon signage for the shiny new backlit plastic models made of many colors. 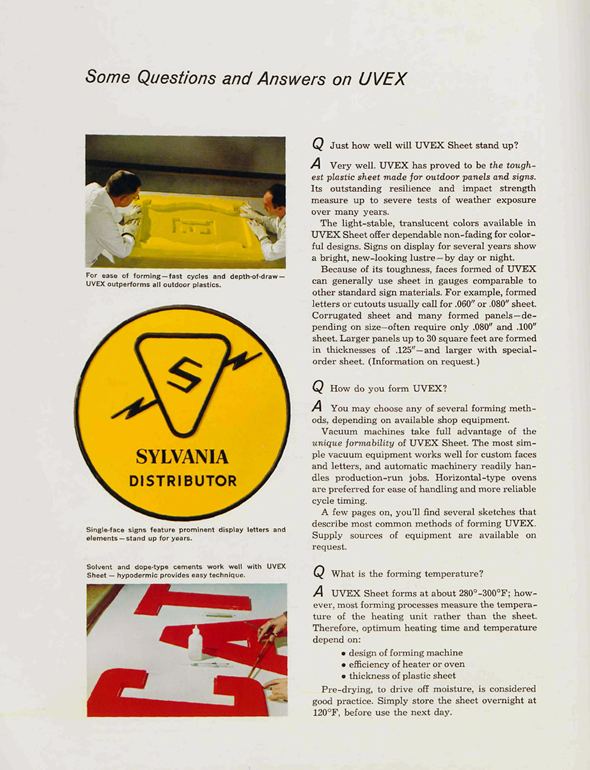 However, the consequences of this new swing in advertising had a devastating impact on an elite industry of hand signpainters who couldn't compete with the behemoth plastic companies. 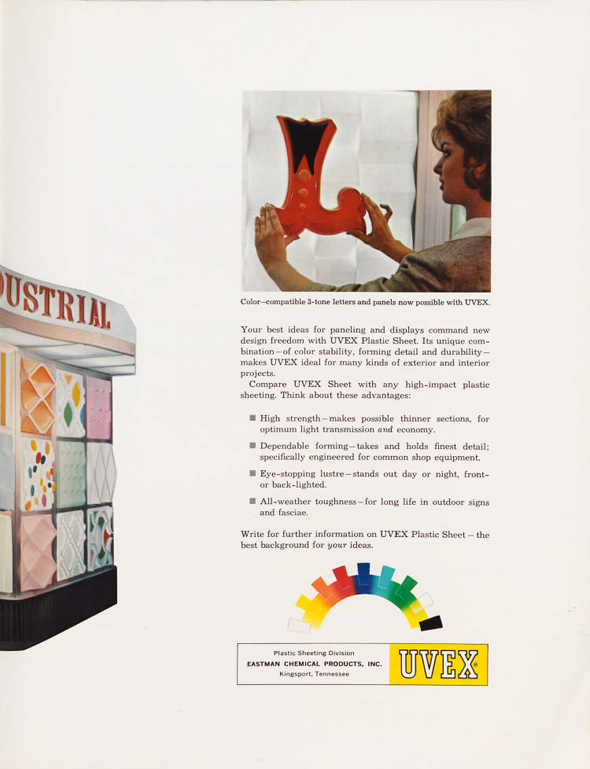 Greater harm is the plastic's damaging environmental toll taken on our landscape and oceans as mounting evidence has since revealed. 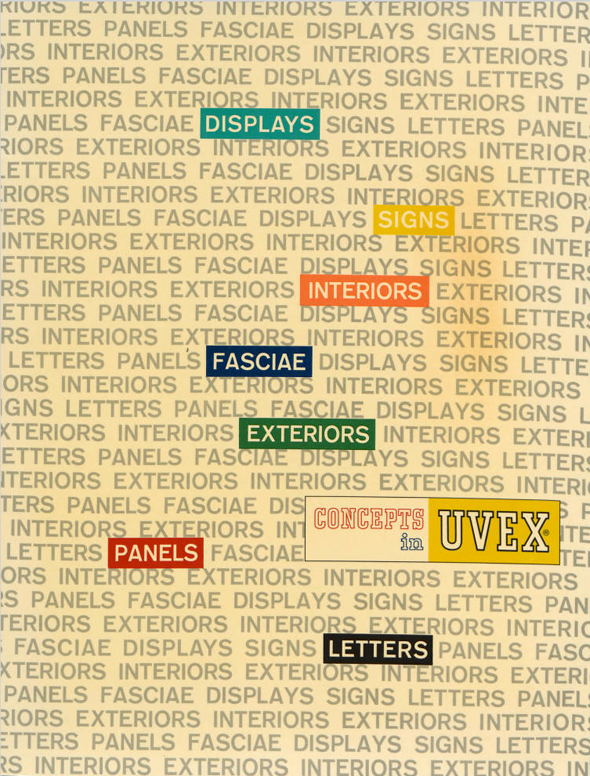 Uvex wasn't the only company responsible for producing molded plastic signage, but it did have some reasonably nice marketing materials. 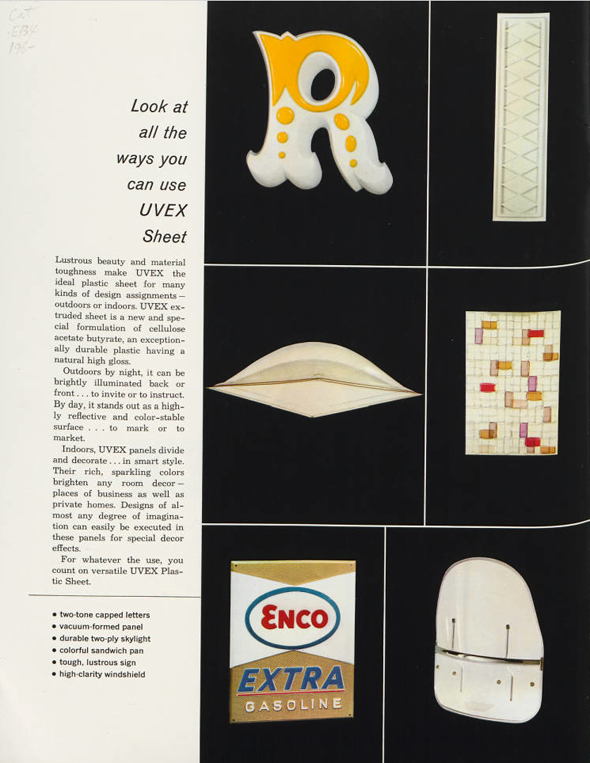 Concepts in Uvex, their trade catalog promoting their modern and "versatile, high impact plastic sheet" of "lustrous beauty" was published in the 1960s. 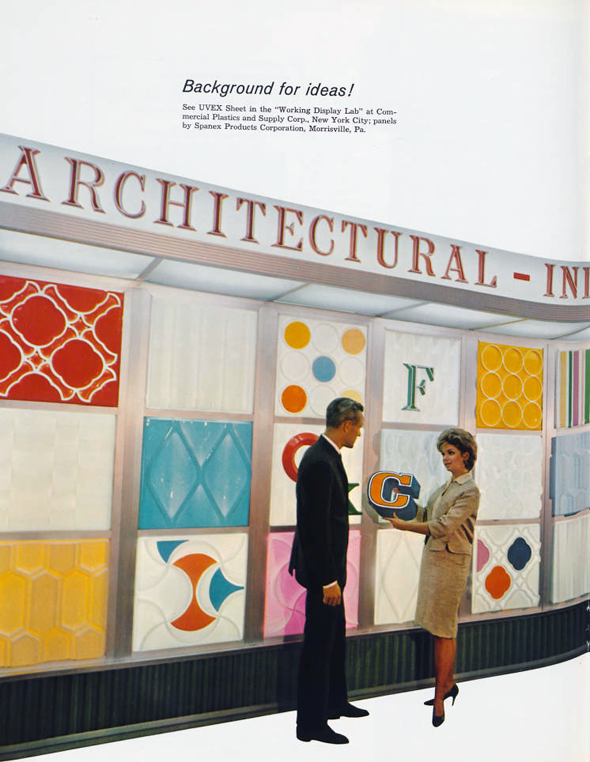 No designer listed, but it certainly has the earmarks and influence of Alexander Girard's colorful work. 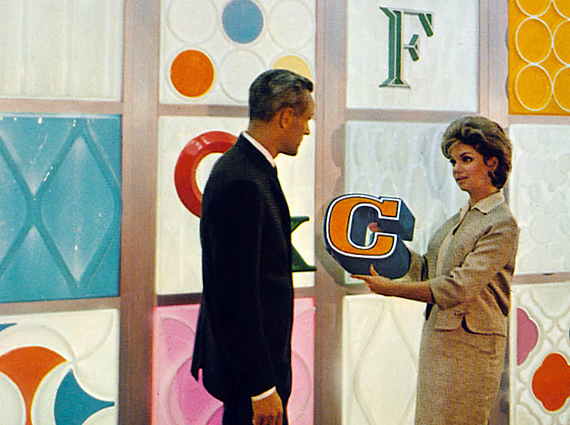 And you gotta love the Vanna White of plastic molded letters. 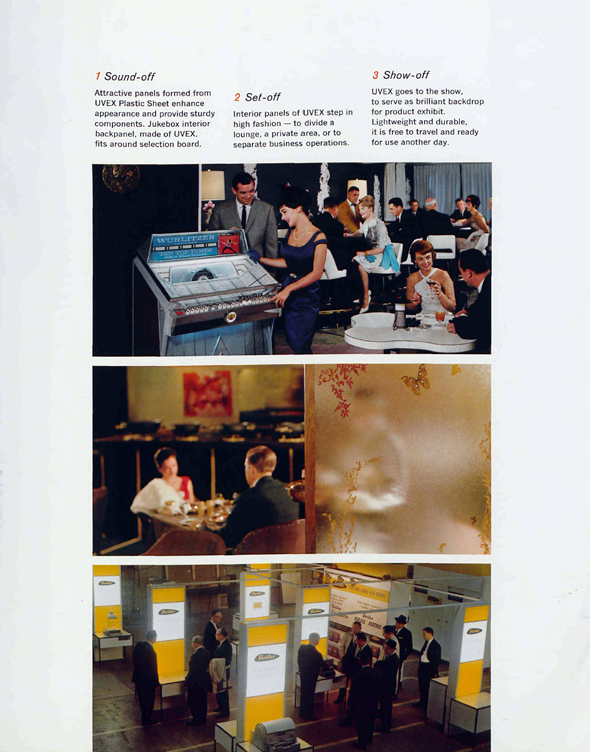 ::Via the Hagley Digital Archives.